To find out more about each governor, click on their name! Governors are regularly informed of our Investors in Pupils work in school through meetings and visits to school. Governors have classes that they are assigned to for the academic year so that they are able to get involved in school life and so that pupils have the chance to learn about the role of a governor. Governors are invited to attend School Council meetings and do so regularly. The Governing Body at Ireland Wood is committed to ensuring that all children are given the opportunity to fulfil their individual potential whilst at the same time learning to respect the needs of others. 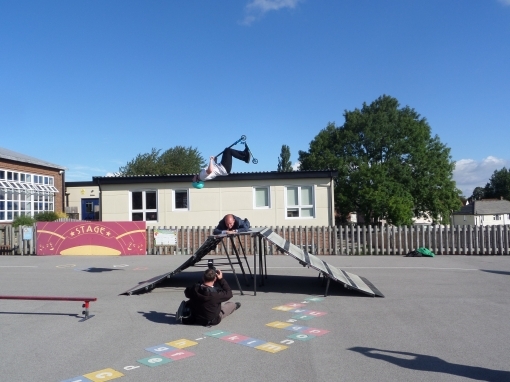 It works to ensure that, through the Head teacher and all the staff, the school is able to maintain high standards of quality and performance in the context of a caring, happy and safe environment. 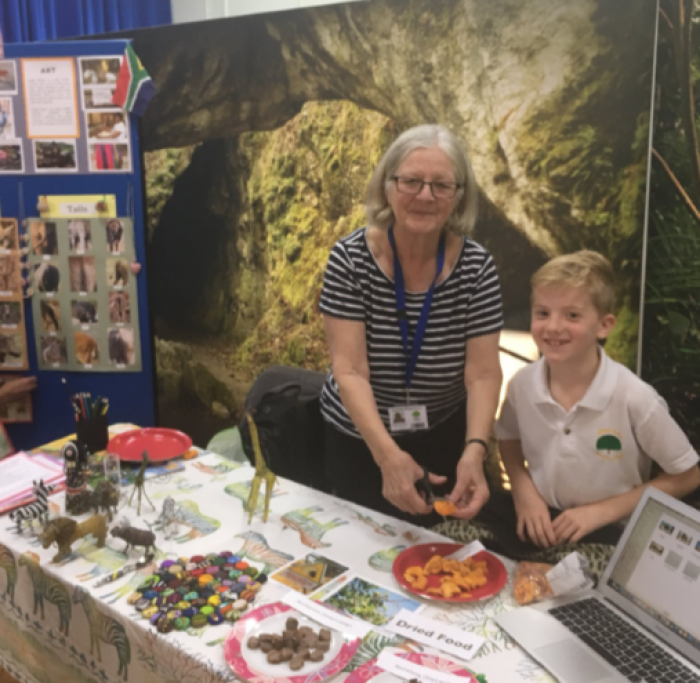 It views partnership with parents, carers and others in the local community as vital and is keen to take account of the views of all concerned with the school including, of course, the children themselves. For more information about the Governing Body please see the attached documents. I have been a Headteacher in Leeds for 11 years. I am proud to be Headteacher of Ireland Wood Primary School, which is a popular two form entry Primary School with a highly regarded resource provision for children with physical disabilities. I also the Chair of the Ireland Wood Children’s Centre Advisor Board and I am Chair of the North West Educational Partnership Trust (currently 4 Schools). I have held senior management positions in 4 Primary Schools for over 18 years including Deputy Headteacher and Headteacher at another school in Leeds. My particular areas of expertise are in Physical Education, Strategic Leadership and SEN. I have a degree in PE and Primary Education and have also worked in a secondary school and two SILCS (Specialist Inclusion Learning Centres) delivering PE and sport to children of all abilities. On a personal level I have four children and two grandchildren who take up most of my spare time. I do though enjoy a round of golf and watching Leeds United and Leeds Rhinos when I can. My name is Barbara Crowther and I have been a governor at Ireland Wood Primary School for about 15 years. I have seen the school change and develop into the successful school and Children's Centre it is today. This is thanks to the hard work, care and dedication of the staff. I am a local authority governor and at present am attached to Years 1 & 2 as a Phase 2 Governor. I have in the past been a class governor for years 1-5 and this has involved many class visits and accompanying children on school trips. I am a retired teacher and have time to give to the governor role. I also live in the locality and have 3 grandchildren of primary school age. My interests include gardening, walking and singing in a local community choir. I also work as a volunteer at a local hospice. I have worked at Ireland Wood since qualifying as a teacher in 2012. Within school, I teach in Year 2 and am Phase Leader for KS1. I am responsible for Educational Visits and ensuring that higher attaining pupils are pushed and achieve as well as they can. I wanted to be part of the Governing Body to help make IWPS an even better place to work and learn. 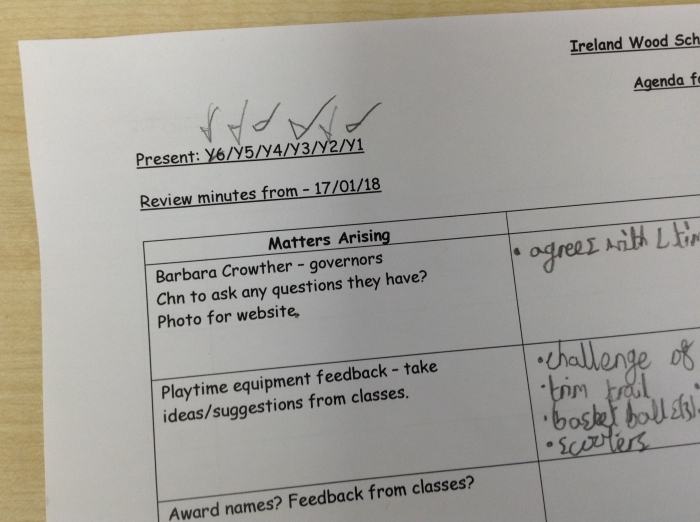 As part of my Governors role, I chair the Teaching and Learning Committee which analyses data, monitors policies for curriculum areas and reviews reports from subject leaders. I enjoy travelling and over the last few years have visited China, India, America and Thailand. I have been a member of staff at Ireland Wood Primary School since 2000 when I started as a newly qualified teacher working in KS1. During my time in class I had experience in KS1 and KS2 but the majority of my teaching time was spent in the Early Years. This is where I consider my area of expertise, it is certainly where my heart lies! Initially I was elected to the Governing Body as a Staff Governor in 2005. I have remained as a staff governor over the past nine years. Over the last few years During my time at the school I have had the opportunity to develop professionally. Initially I covered the Deputy Head role for Maternity Cover. Shortly after this period I was promoted to Assistant Head and following another year covering the Deputy I was appointed as permanent Deputy Head in 2010. I have had a wonderful career at Ireland Wood and have supported the school through many changes and challenges including pupil reduction, Children’s Centre development, expansion and three Ofsted inspections.Outside of work I have two young children. Isabelle and Freddie. They take up most of my spare time but every now and then I find time to take part in Amateur Dramatic productions with BrassNeck Theatre Company in Leeds. I believe passionately that every young person deserves the best possible start to their education. So I am delighted to be part of the Ireland Wood Governing Body that as a Local Authority Governor. I originally came to Leeds to study psychology over 30 years ago and end up staying. I am married and the very proud mother four grown up children and a granddaughter. I have had the chance to live and work in a number of countries around the world, mainly in Africa and Asia. Whilst living in Bangladesh I served as a school governor at an American international school. I was active in the PTA and served as chair for two years when my children were at high school in Leeds. I have worked for Leeds City Council for almost 14 years in various roles. I am currently on secondment from Economic Development Team to the West Yorkshire Broadband Delivery Team. I have lived in Cookridge for over 40 years and have had an attachment to Ireland Wood Primary School for most of that time as all four of my very grown up children came here, and now my grandchildren attend! 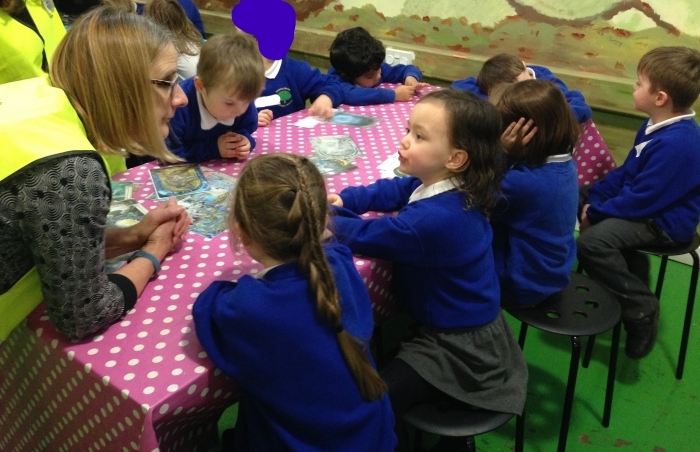 I also work in the school, and have done since 1998, or to be more specific the Children’s Centre where we provide childcare for pre-school children (3 months to school age). We also provide a range of services for families including groups which run in the school Community Room as well as outreach services. 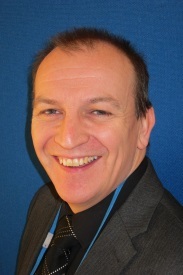 I am a Community Governor and in that role I can bring experience of working throughout the area with all the six other primary schools and with other cluster staff for example the Targeted Services Leader, and part of my remit includes reporting to the Governing Body on the Extended Services work taking place in our cluster of schools. I am a very family oriented person, love to read and go to the cinema whenever possible and socialise with friends. I love my job and working with and knowing families in our area is very important to me. I work part time at St James’s Hospital as an Orthoptist (Eye Specialist), live in Cookridge and have three children. All of my children previously attended Ireland Wood Children’s centre and all three are currently at Ireland Wood Primary School. I have been a parent governor for the past four years and really enjoy being part of the school. It is a fantastic place with numerous awards but it is still rewarding to be part of the governing body, supporting and encouraging the school to aim even higher. 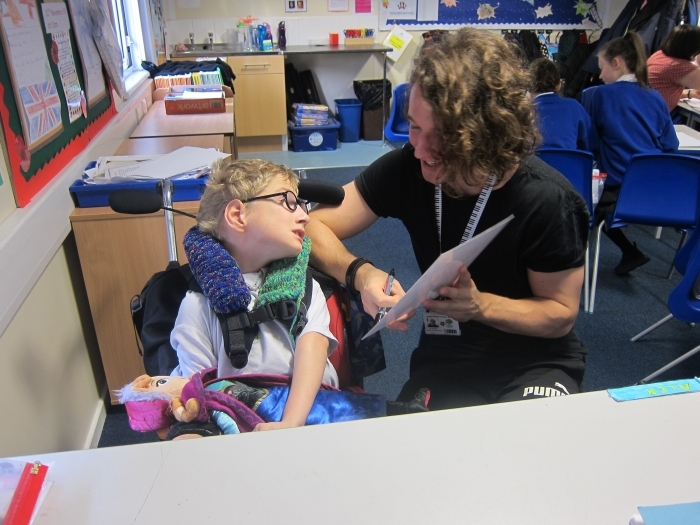 I have worked in Education for 40 years and have been particularly involved with children with special educational needs and disabilities, their teachers and support staff. I have been Chair of Governors for over 5 years and a member of the Governing Body for much longer. I live locally and so am especially concerned with all issues that affect children and families in our community. I am pleased that the school now works as part of a Trust in collaboration with other local schools as this cooperation and sharing of expertise strengthens local ties across the area. I spend as much time as possible in school but when I am not doing that, I enjoy singing in a choir, reading, walking, painting and going to films. 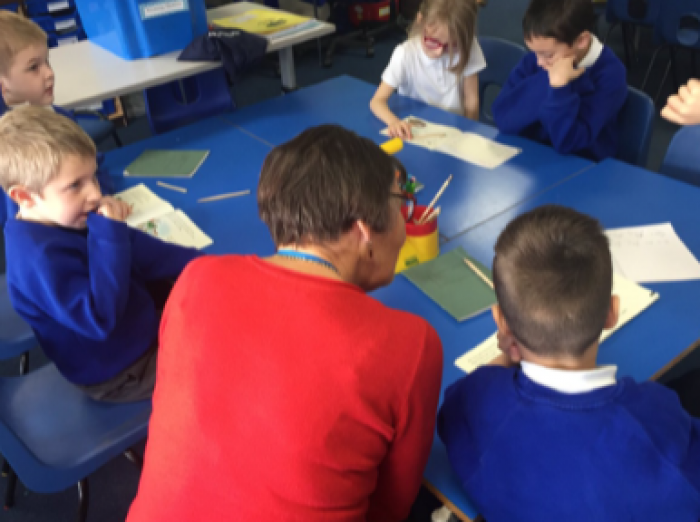 As Chair of Governors, I am fully committed to the principal that all children should be given the opportunity to fulfil their potential whilst at the same time considering the needs of others. I am therefore very proud not only of the achievements of all the children, the staff and the Governors at Ireland Wood but also the atmosphere of care and respect which is at the heart of the school. Ireland Wood School has impressed me since my granddaughter, and later my grandson, started school there. The inclusive ethos is outstanding. My background is in education, mainly at tertiary level. I also latterly managed a British Government education project in South Africa working with disadvantaged primary schools. This was followed by voluntary work with AIDS orphans. In my spare time I enjoy working on the allotment, going to classical music concerts, the opera and travelling, as well as looking after the grandchildren, of course! I applied to be a Governor at Ireland Wood as I live locally and thought it would be a good thing if grandparents were represented. It is obvious from meeting the children from school and attending music, plays, presentations and other events how important grandparents are to many of the children. I continue to be impressed by the school, the staff and the children. I wish to play my part in contributing to the school and its development. I have lived in the Cookridge area for 30 years and have two children in attendance at Ireland Wood Primary- my son is in Y5 and my daughter is in Y2. Since graduating B.Ed Hons in History as a mature student, I have been working at the Donkey Sanctuary at Eccup where I work with children with Special Educational Needs through Donkey Assisted Therapy, as well as other vulnerable groups across the region. I deliver talks in the community about the work we do, as well as fundraising and organising large charity events. I love reading and going to live music whenever I get the chance. I have been a Parent Governor at Ireland wood for 5 years and have just entered my second term. I am currently the joint Governor responsible for the welfare of SEN children in the school, as this is where I feel my strengths lie. I find the Governing Body at Ireland Wood to be very active, encouraging all members to play to their strengths but also improve on any weaknesses. I have very much enjoyed helping the school to stick to its founding principles, particularly during this very challenging time within Education. My family have been affiliated with Ireland Wood Primary School for the last 19 years and I have been on the Governing Body at Ireland Wood since 2006. Whilst my children have progressed through the education system, I have continued to stay on the Governing Body as the wonderful children and fantastic inclusive ethos of the school, hold a very special place in my heart. I am the named Governor for safeguarding and looked after children, which fits in with my day job working within the specialist area of safeguarding children and young people. I feel extremely privileged to be on a Governing Body that is made up of an extraordinary mix of talented individuals. We all share a common goal of ensuring that we support the pupils, parents and staff to make Ireland Wood Primary School the best it can be and our children are at the heart of everything we do. I was elected to be a staff governor 4 years ago. I began working as the Year 1 teacher at Ireland Wood in 2008 and have since taught Year 4 and now teach Year 3. I am also a member of the Senior Leadership Team and have recently been appointed as Assistant Headteacher. Part of my role is to strengthen and maintain community cohesion within our school community and beyond. I have developed and sustained links with local schools particularly through a cluster International School Council. A personal passion of mine in the international dimension to our curriculum and we work hard to embrace and celebrate the diversity of cultures we have at Ireland Wood. Outside of work, I love the outdoors, play netball and am an Akela at a local Cub Scout group. In one way or another I have been part of the Ireland Wood Primary School community since 1976. My Mum was a teacher at the school for many years before she retired and both my children started their very successful educational pathways by attending the school. I was lucky enough to join the staff at Ireland Wood in September 1997 and was elected to the Governing Body in 2003. During my time at Ireland Wood I have worked across all the year groups within the school before being appointed as SENCo in September 2005 and then Inclusion Manager in September 2012. 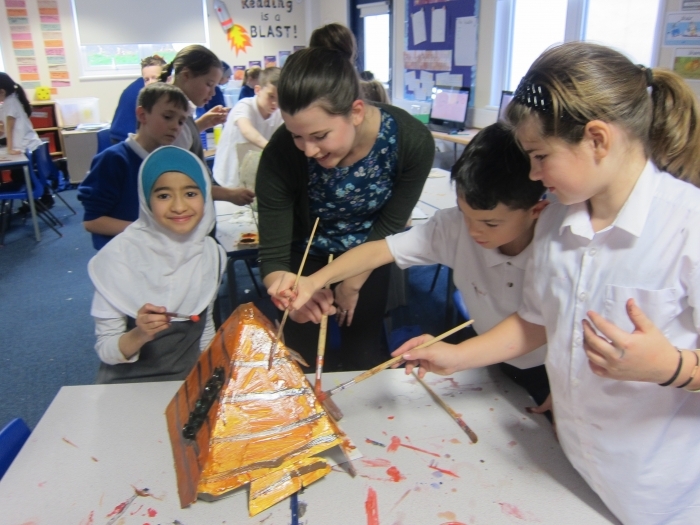 Even though I have now moved away from the local area I continue to work and sit on the Governing body as I believe that the ethos within the school is truly inclusive and offers all children a complete and fulfilling primary education. I passionately want to be part of this early journey that the children make and by sitting on the Governing Body review group, Pupil Support Committee and the Governor’s training committee I believe that I have a positive impact to make to the children’s education and the development of the school. My name is Hala Saleh and I have been a Parent Governor at Ireland Wood Primary School since January 2015. I have three children, the oldest of which has attended Ireland Wood Primary School for four years, while the second attended Ireland Wood Children Centre. The youngest started Reception at Ireland Wood Primary School last September. I have a Masters Degree in Web Engineering and worked as a ICT teacher abroad. I hope that by joining the governing body and by combining my skills in computing and teaching I can contribute to the school and its development. I am a local authority governor and have both a professional and personal interest in Education - as a former teacher and head of department in secondary schools and then within higher education as a lecturer and head of programme in sport and physical education. My current role, working at the University of Leeds, is related to strategic change and to deliver on the university’s strategic plan in student education. My personal interest is derived through the education of my daughter who is now a student at Leeds. In particular, I was actively involved during her primary education in school PTA activities. It is clearly a privilege to be a member of the governing body of such a vibrant and successful school. I joined the Governing Body in 2017 as a Parent Governor. I've lived in Leeds since studying in the city and now work in the advertising industry, including a role as associate lecturer at Leeds Arts University. Although my professional life is in advertising and communications, I have always had an interest in education. I want every child at Ireland Wood Primary School to have the opportunity to develop a love of learning, respect for each other and to reach their full potential. I joined the Ireland Wood Primary School Governing Body in 2018 as a parent governor. I am a research scientist at the University of Leeds. 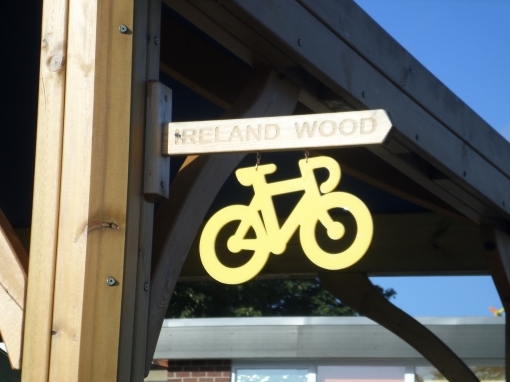 I have lived in Cookridge for over 10 years and I have a child who attended the Ireland Wood Children’s centre and is currently at Ireland Wood Primary School. My main professional activity is in research but I also teach at the University. 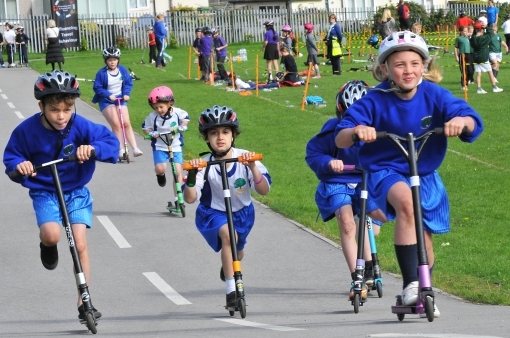 I have been delighted with the ethos of the school and its commitment to the children. I am keen to support the school in giving the children the best learning environment possible to realise their potential.